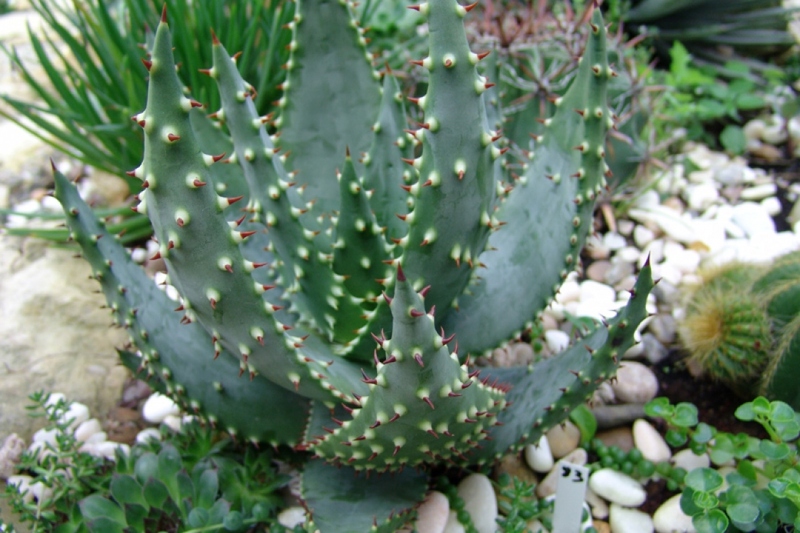 Bitter aloe (Aloe ferox): growing, planting, caring. 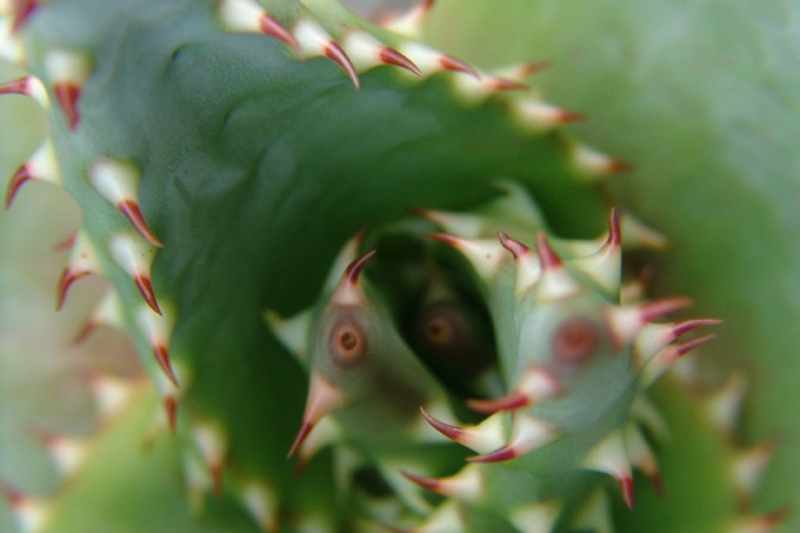 A ferocious Aloe - as the scientific name suggests - beware of its spikes! 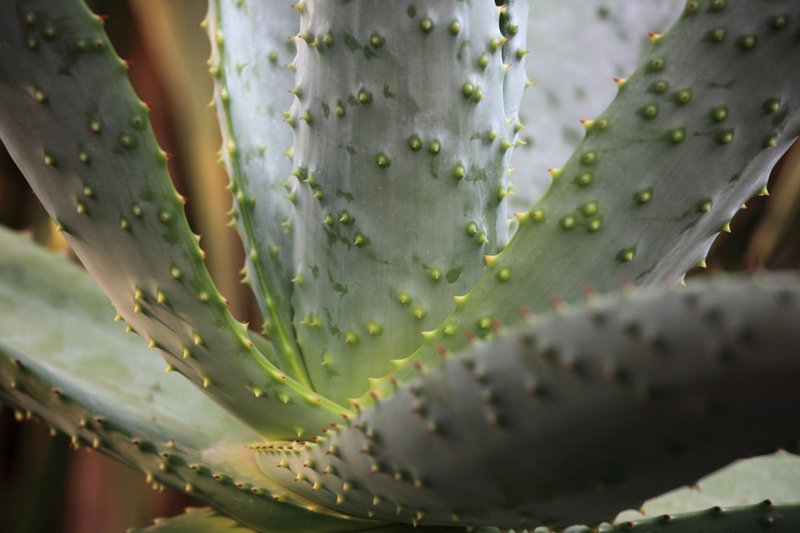 Aloe ferox - the bitter aloe or Cape aloe - reaches up to 10 feet (3.0 m) in height - so better grown in dry-tropical climates in open sandy-loamy soils and full sun. 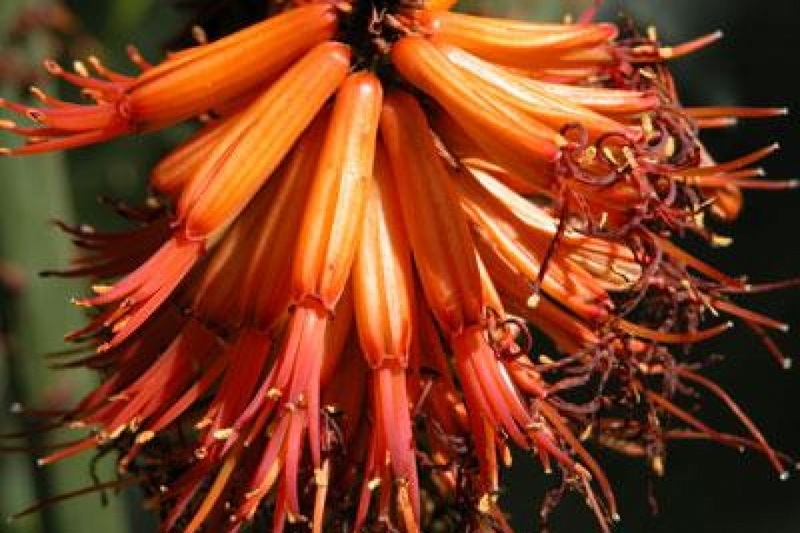 It can be distinguished from its closest relatives by its more compact, erect leaves with 6mm reddish-brown teeth on the margins and also on the keel of the leaf near the leaf tip.